Sometimes a gem is found in the most unlikely of places. 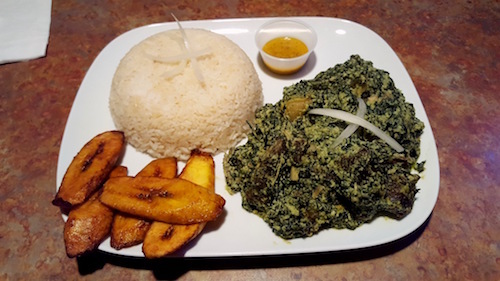 In Union Township, New Jersey, a corner home that was once turned into a corner tavern is now home to Abuja International, a corner Nigerian restaurant. The charm is in the fact that the place's interior has not been changed, so it still reads as the kind of tavern whose customers are on the young side if they are in their 60's. The customers here though are young and old and of West African origin, jostling for the remote of TV Afrique, a satellite service that connects them to their home countries and is available here. 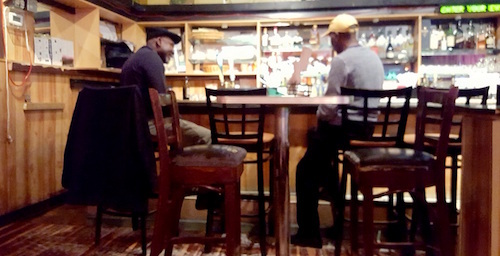 Even on a monsoon December evening, the place started getting full at happy hour and each guy took what was probably his regular stool at the bar, shaking hands with all the friends that he most likely has not seen since last night. The woman who runs the kitchen makes an appearance every once in awhile, keeping her stern face as she slowly walks by but greeting us with a quick "Hello." There is such a thing in the world as "Africa time," Africans referred to it plenty while I was traveling in Senegal and Mali, and it requires people accustomed to faster paces to relax and lay down their desires for a quick fix. Even in New Jersey, this restaurant definitely runs on Africa time, so do come with an abundance of time and possibly a thirst for a couple cocktails. After all, they did leave the old bar in place, so you might as well take advantage of it like the other customers are doing. The menu here is extensive, with all the Nigerian food that could possibly be desired. 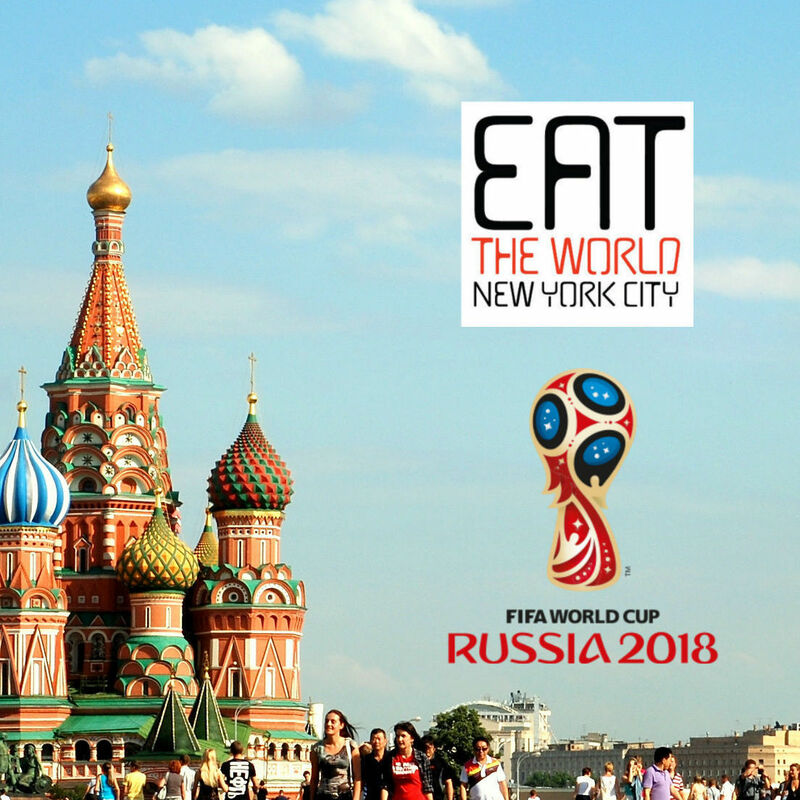 What makes it a bit of a unicorn though is the inclusion of a few Cameroonian items, two fish dishes cooked "Cameroonian style," and Ndolé, the national dish of Cameroon. Ndoleh, the bitter green used in the dish, is called Vernonia in English. It is one of the variations you might find in Nigerian egusi soup. Here it is mixed with stewed nuts and served with large chunks of beef. The plate above goes for $20, but is most likely more than one person can eat alone. Typically you eat your ndolé with sweet plantains and rice, and our plate is paired with an incredibly spicy yellow pepper sauce that needs to be used with caution.